Courrèges is one of those forward-thinking brands that do not adhere to traditionalist notion of catwalks or work division. Sébastien Meyer and Arnaud Vaillant follows a vision of exceptional clarity and are removed from the notion of runways and singular narratives. Their new fall collection is a perfect homage to their own post-modern understanding of decentralized fashion. 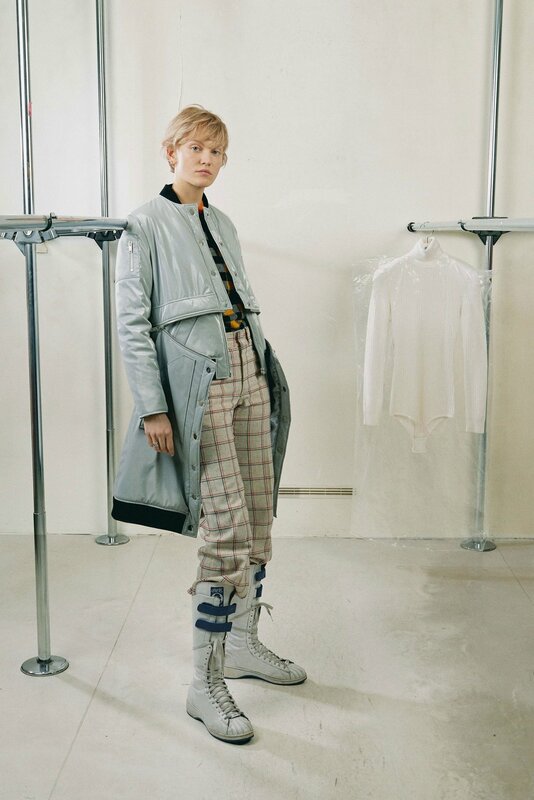 Each look were products of friends and stylists of the creative directors and in many ways, they symbolize a movement coming out of Paris that is neither bound by the usual functionality of runways nor attached to the general narrative of a specific line of clothing. Everything is built to become something else, everything is built to be viewed outside the confines of singular fashion identity. The genius of the brand lies in blurring lines and removing confines of branding in many ways. And if that is the future of this french movement slowly taking shape then we could not be happier.